This organic radiance firming facial oil from Nourish London made with a blend of omega-rich Macadamia and pumpkin oil with rosehip and borage oil. Made in the UK with a cruelty free and vegan formula, the facial oil restores the hydro-lipid layer to improve skin elasticity for a firmer, more youthful complexion. With added marine kalpariane and frankincense to help stimulate collagen to counter signs of aging. Suitable for all skin types and free from parabens or SLS. 98% organic. Apply a small drop and gently massage into skin using a circular motion. 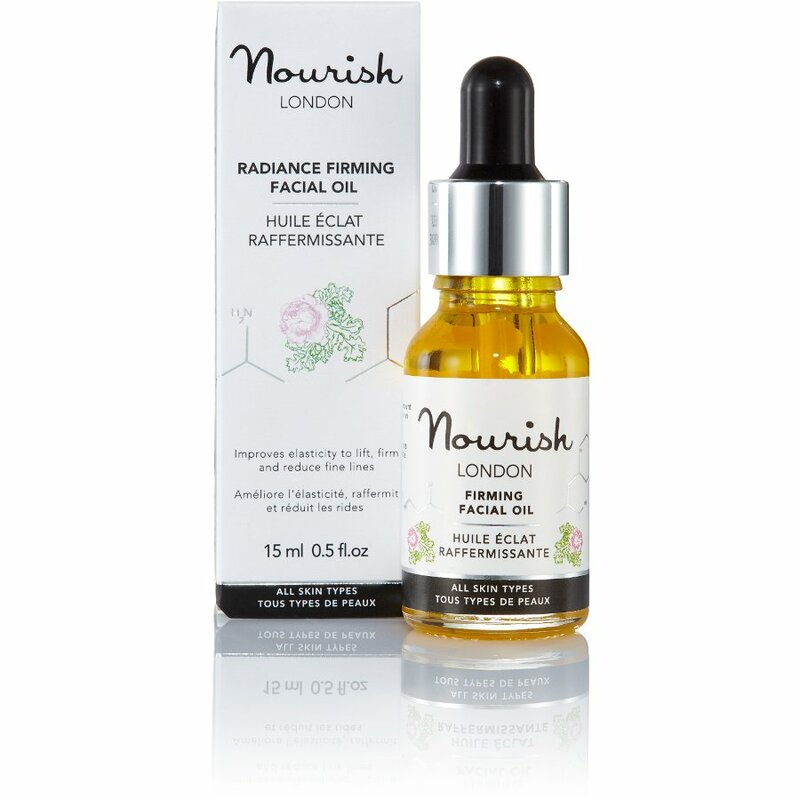 Nourish London Radiance Firming Facial Oil will last for 6 months after opening. Macadamia ternifolia (macadamia) seed oil*, Helianthus annuus (sunflower) seed oil*, Rosa canina (rosehip) fruit oil*, Simmondsia chinesis (jojoba) seed oil*, Borago officinalis (borage) seed oil*, Cucurbita pepo (pumpkin) seed oil*, Sesamum indicum (sesame) seed extract*, Alaria esculenta extract, Caprylic/ Capric triglyceride, Pelargonium graveolens (geranium) flower oil*, Rosa damascena (rose) flower oil, Olibanum (frankincense) oil*, Citral, Geraniol, Benzyl cinnamate, Limonene, Linalool, D-limonene, Eugenol, Citronellol, Methyl eugenol. *Organic. From essential oils. The Nourish London Radiance Firming Facial Oil - 15ml product ethics are indicated below. To learn more about these product ethics and to see related products, follow the links below. 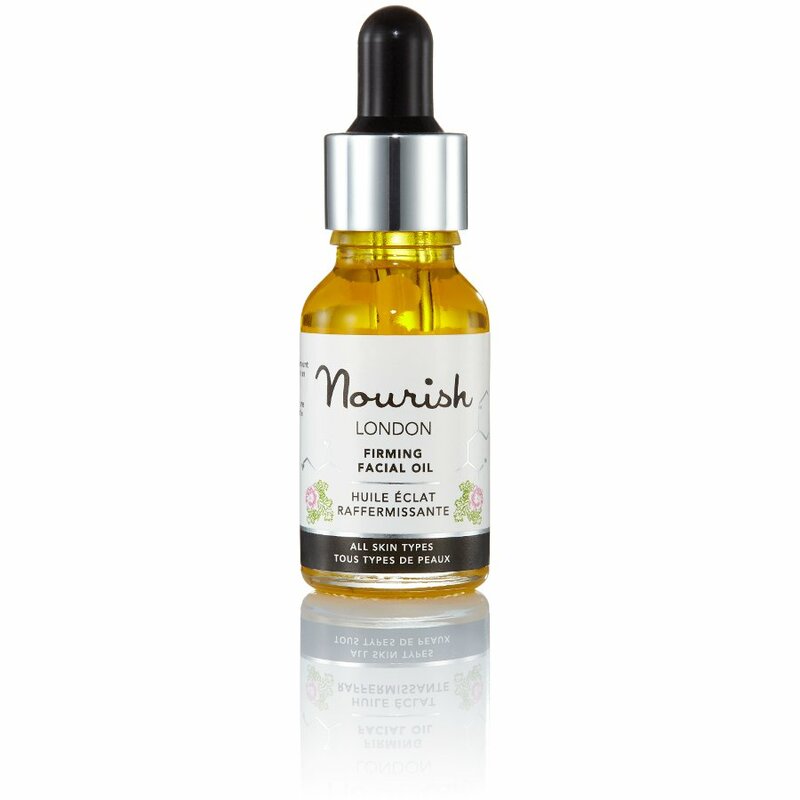 There are currently no questions to display about Nourish London Radiance Firming Facial Oil - 15ml.